Ingenuity celebrates the recreation of classic elements, focusing on the development of novel composite fabrics. 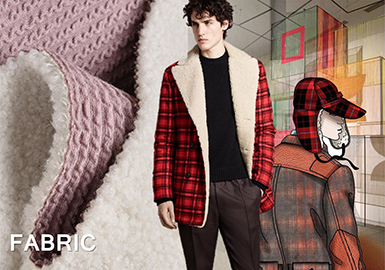 Knits in various stitches, flannel twills and corduroys emerge alongside functional fabrics and multiple fur composites. New bonded fabrics are imbued with designers' specific concepts to emphasize the high quality.